Nature features thousands upon thousands of different flower species. Many flowers in nature not only contribute to the aesthetic of a landscape, but have additional uses in nature. These uses can include serving as a food source for humans and other animals, repelling or attracting insects or possessing medicinal properties. Whatever the flower's added use is, care should be taken to make sure no adverse affects occur when you use it for various things. Tropaeolum majus, commonly known as nasturtium or Indian cress, refers to a type of flowering plant that many young or beginning gardeners use commonly. These plants are very easy to maintain since, often, you can simply plant them and leave them alone. Nasturtium does well in full sun to partial shade and enjoys light, sandy soils, according to FloriData. They are drought-tolerant but prefer regular watering. Nasturtium flowers come in a range of bright colors, such as yellow, orange and pink. 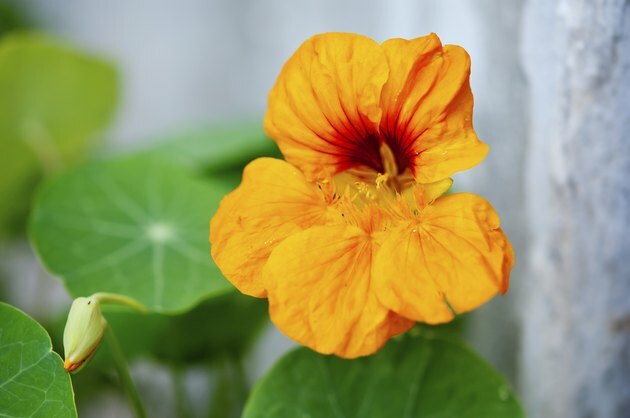 Outside of their use for introducing children to gardening, nasturtium flowers are commonly used in salad gardens. The flowers of the plant, as well as the immature seed pods and leaves, can be used within salads as a tangy flavoring. The immature seed pods also can be pickled, while mature seeds may become a roasted snack or flavoring similar to pepper. The flower petals can be used to create a vinegar or used within other food recipes. Sunflowers, Helianthus annus, are members of the daisy family of flowers. They grow within semi-arid regions worldwide, according to the Perdue University Center for New Crops and Plant Products. While not expressly drought-tolerant, sunflowers can withstand dry spells at a slightly higher level than many other plants. They require soil that is well-drained, but the soil type can range greatly. Sunflowers are used for a number of different common, everyday things. Sunflower oil, for example, is used for frying foods or other kinds of cooking purposes. It can also be used in infant formula and to give snack foods a longer shelf life. Sunflower seeds provide a healthy snack for both humans and animals. 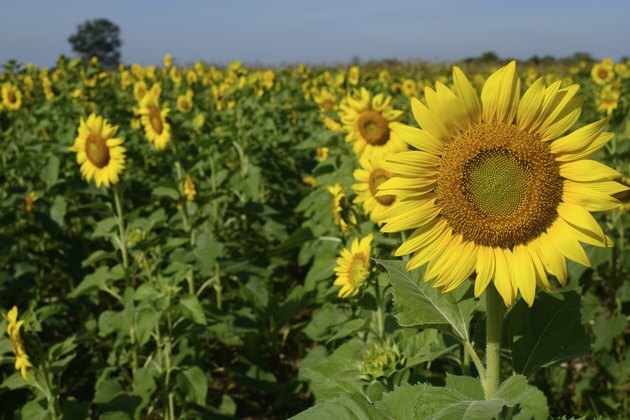 Sunflower meal can be used as well to provide high-fiber food to animals. Plants within the Jasminum species are known as jasmine plants. The flowers of jasmine plants are highly fragrant, white blooms that appear in summer and fall. Jasmine plants grow best in the warmer regions of the world. 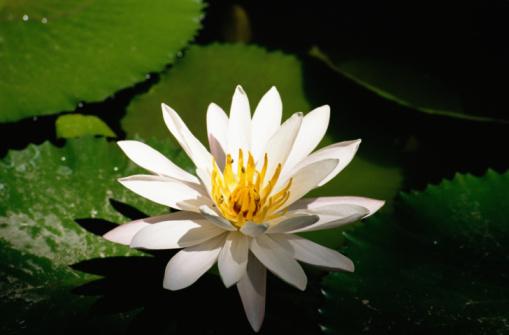 These flowers can be grown in almost all types of soil as long as enough water is available. Jasmine plants also require full sun for best growth. 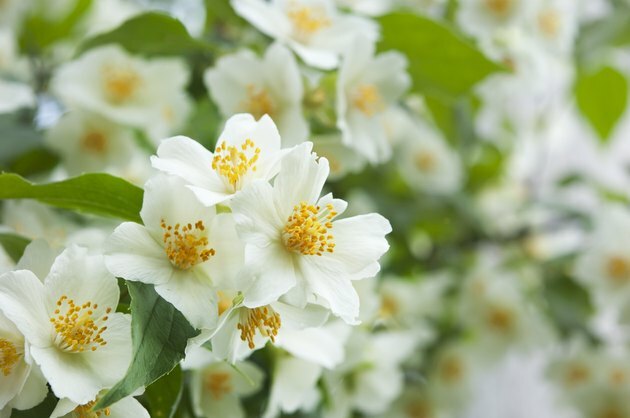 According to the Perdue University Center for New Crops and Plant Products, jasmine flowers are harvested extensively for several different uses. Jasmine flower oil, for instance, is extracted from collected flowers and turned into a number of different other compounds, including terpineol, jasmone and benzyl acetate. 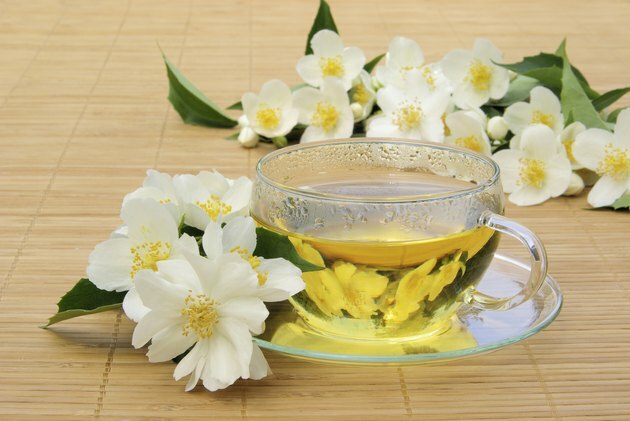 In its pure form, jasmine flower oil becomes a key ingredient in perfumes and bath products like soap and shampoo. Jasmine tea is also a popular use of the flower. Medicinally, claims exist that jasmine helps with cancer treatments, ringworm and tapeworm infections, and acts as a calming agent.